Being from Wisconsin, I grew up drinking milk at every meal. I remember the milkman bringing it to our door in the morning. Why is milk today less digestible and many are lactose intolerant? Is the milk brought to the grocery stores the same quality we drank growing up? Well, let’s take a look at some of the changes per Dr. Mercola. – Feeding methods for cows today produce abnormally large pituitary glands to produce three times more milk. These cows require antibiotics. – The milk today is pasteurized which destroys important enzymes causing milk to be difficult to digest. – Commercial homogenized milk subjects butterfat to rancidity. Skim milk may have the butterfat removed. When butterfat is removed, the body cannot absorb and utilize the vitamins and minerals. Butterfat has strong anti-carcinogenic properties. Synthetic vitamin D is added to replace the natural vitamin D in butterfat. Simply put, butterfat had a purpose in milk. – Non-fat dried milk is added to 1% and 2% milk. The cholesterol in non-fat dried milk is oxidized and promotes heart disease. – FDA approved Bovine Growth Hormone, BGH, to increase milk production causes an insulin-like growth factor. The insulin-like growth factor survives pasteurization and can be directly absorbed into the consumer’s bloodstream, including infants of course. This growth factor promotes the transformation of human breast cells to cancerous forms. It may also promote progression of cancerous breast and colon cancer cells. The BGH also causes breast infections in cows which require additional antibiotics. – Homogenization process causes fat globules to surround a protein enzyme and it is absorbed into the consumer’s bloodstream. Research shows associations with increased risks of heart disease. – Increased ear infections in children may be associated with milk consumption. It is thought that 50% of children with recurrent ear infections will get better by avoiding milk. Eliminating dairy would include milk, cheese, yogurt and ice cream. It seems like a drastic step for a Wisconsin girl. You may decide to simply watch your intake or perhaps eliminate it for awhile and see how you feel. If you eliminate dairy and bring it back into your diet, remember to add it slowly as you may get a strong reaction. What about calcium? Dairy marketing has done quite a job brainwashing us to believe that we need more significant calcium in our diet. 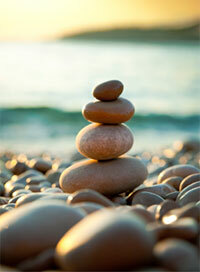 – There has never been a documented case of human calcium deficiency in the human race. – Calcium is irrelevant to strong bones or bone loss. A sedentary work and lifestyle is associated with bone loss. Those on bed rest as well as astronauts show extreme bone loss. You can put positive stress on the bones through weight lifting and exercise to decrease risk of bone loss. 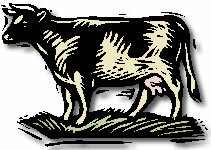 – Cow’s milk is rich in phosphorous which when combined with the calcium, actually prevents you from absorbing it in milk. Also true with consumption of meat and poultry. Vegetarians need about 50% less calcium than meat eaters because of this. You can obtain your calcium from dark green vegetables as well as some plant herbs. Supplements are also available. Linked to insulin dependent diabetes, rheumatoid arthritis, infertility and leukemia, cow’s milk is also the number one allergic food in this country today. It may also cause diarrhea, cramps, bloating, gas, gastrointestinal bleeding, iron-deficiency anemia, skin rashes, atherosclerosis, and acne (not to mention the primary cause of recurrent ear infections in children). It is possible to get whole, pasteurized, non-homogenized milk from cows raised on organic feed in gourmet health shops. But keep in mind, no mammalian species, except for the domestic cat and humans continue to consume milk after the weaning period (which would be one year for humans breast feeding). What do I put on my cereal? I have added almond and rice milk into my diet for cereal, smoothies, etc. Soy milk, on the other hand, may not be the best alternative due to the GMO aspect. Genetically modified soy may be a subject for another article. In the meantime, be conscious of what you’re putting in your body, as your health depends on it.